I never stopped reading children’s books as I got older, and by the time I was in college the selection of books for kids and teens had expanded beyond my wildest dreams. A year out of college, I got a job in children’s books, assisting the editor of The Princess Diaries, by Meg Cabot. 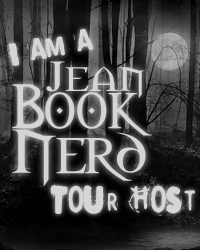 Between my childhood love of Christopher Pike and the on-the-job love of Meg’s books, I think my fate as a YA writer was pretty much sealed. 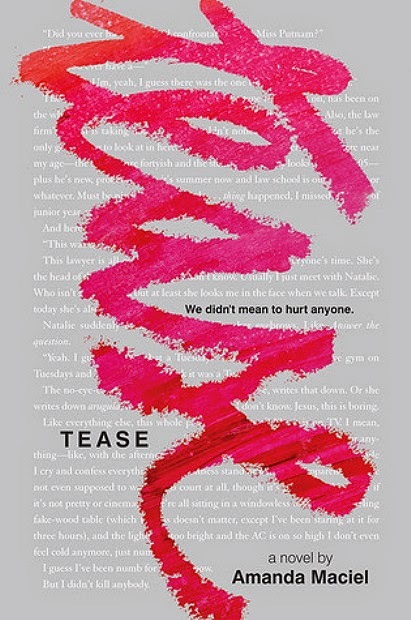 Even though Tease explores high school bullying, I actually graduated from a Catholic all-girl’s school at which everyone was just impossibly wonderful and nice. I started there late—junior year—and my classmates couldn’t have been warmer or more welcoming. I’ve certainly had toxic girl relationships, but luckily for me, high school was not angsty in that particular way. That you don’t have to agree with someone to like them. It took a long time to learn, of course, and I still sometimes need to remind myself of that—but it’s true, and it’s important. Probably I didn’t have to be in school to learn that … but it helped. Did you learn anything from writing TEASE and what was it? I learned some legal stuff, mostly from my husband, who was my personal lawyer-consultant on the manuscript. I learned that I don’t need ideal conditions to write, and that quite often, the scenes I’m most anxious about are the ones that readers connect with the most. And I learned to tune out the rest of my life to get the story done—though again, that’s a work in progress! For those who are unfamiliar with Sara, how would you introduce her? I’d say she’s a girl who feels deeply misunderstood, and deeply disadvantaged. Sara really feels like she’s been accused of murder, and she can see that anything she says in her own defense sounds, well, defensive. It only makes people hate her more. But how can she not defend herself? So she feels really stuck, and that makes her really angry. What part of Emma did you enjoy writing the most? With Emma I wanted to try to explore this idea of the perfect victim a little more—basically, I wanted her to have some flaws, because I think flaws give people their humanity, and their dignity. Reducing anyone to one moment—and if you commit suicide, that will forever be your defining moment—just isn’t fair. I think Emma was trying to be more than her struggles, and I wanted to show that she wasn’t just a victim of her circumstances and the people around her. Sara would definitely have a lot to talk about with Clay from Thirteen Reasons Why. It’d be nice if she could spend some time with Jane Eyre, too, or Lyra from Philip Pullman’s His Dark Materials trilogy. Those girls know how to be strong and true to themselves—and they steadfastly reject anyone telling them who or what to be. I want to hang out with them, too. And frankly, I wish Sara and Emma from Tease had talked more. It would have helped them both. I’ve been very lucky to work with many, many writers in college and over the course of my career, and they’ve each taught me something valuable. The YA writing community is incredibly supportive, and there are a few writers I’m lucky to know personally who are always generous with advice and encouragement. My colleague Aimee Friedman, who is also an editor and the author of several novels including Sea Change, has answered countless dumb questions for me over the years, and I rely on her wise counsel even more than I think she realizes! Read more! Keep reading! Try different kinds of books! If you need more advice than that, well—a dedicated reader will always find the advice they most need, when they most need it. Oh, man. My weight? Or when the doctor asks how many drinks I have a week. I definitely low-ball that one, every time. What’s the most memorable summer job you’ve ever had? I’ve had a lot of good ones! Most memorable was definitely the summer I worked at the Cape Cod Times newspaper, lived with two great friends, and met my future husband. Looking like an idiot. I’m not sure why, but I’ve spent a lot of my life trying to look like I totally know what I’m doing, even when I totally don’t. I feel like people will be mad at me if I make a mistake. That’s crazy, right? It definitely is, but for me, looking ridiculous is worse than flying, or snakes, or deep water. True love and heartbreak (which is almost always guaranteed), definitely. The other option is basically choosing not to be alive at all, right? I wouldn’t have quit piano lessons! Or maybe I’d pick an instrument that was smaller and more portable and stuck with that. Like the trumpet. Or the accordion! As it is, I can still pick out “Heart and Soul” on a piano and that’s it. Maybe the ’60s. That’s when my parents were teenagers, and as rough as that decade was, there was so much hope and change—and young people were a huge part of the change happening in the world. Young people are in a similar position today, and I think more drastic change is due. But the ’60s seemed to be a less cynical time than now, and that would be nice. I have a kid now, so I’m a much bigger crier than I used to be. I think it’s a hormone thing. A few weekends ago, I was feeling very overwhelmed, and then had two weird interactions with friends back-to-back. I had a short but essential stress-cry at the end of that day. Oh, and that Honey Maid “Love” video, have you seen that? Sheesh. Weeping. Twitter and Facebook! I use my Twitter account, @AmandaMaciel12 (apparently there were 11 before me? Which is fine, since 12 is one of my lucky numbers), for author stuff. And on Facebook I have an Amanda Maciel Author page with tour info, book updates, and pretty pictures of the various Tease covers. I’m also on the F train a lot, but you probably don’t mean “stalk” in a literal sense, right? When the beautiful Emma Putnam was found dead after committing suicide, the blame immediately went to Sara Wharton. After all, Sara and her friends have been bullying her online and offline for months leading up to the suicide. Sara just wanted Emma to stay away from her boyfriend. Feeling like life is over, everyone that was close to her has abandoned her as well. Amanda Maciel’s TEASE is powerful story about the repercussions of teenage angst and mischiefs. Sara’s narration told her view of the situation. She sees herself as blameless as she didn’t make Emma kill herself nor did she kill Emma. She does admit that she enjoys feeling powerful when she bullies Emma. Although she was more of the sidekick to her best friend, Brielle, she got more of the blame only because she was simply doing what Brielle told her to do. It’s a nice shift to be able to go into the mind of the one bullying. It definitely sheds new light as the norm always tend to focus on the bullied. What makes it even more powerful is that it ended in suicide. It provided a different perspective and it certainly got my mind to work in overtime. Both sides of the party had their own share of dirt. So who is wrong and who is to blame? Bur most importantly, how should the situation be handled and properly fixed? Amada’s writing style and approach provided a clear understanding as to why Sara believed what she believed in. There is no room for excuses when it comes to bullying. Especially those sensitive teenage years. 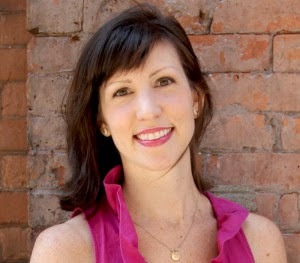 The first-person narrative was the perfect way to get into Sara’s mind. TEASE reminds us that mistakes will be made and we must learn from them. Thank you Amanda for making this giveaway possible. 1 Winner will receive an ARC Copy of TEASE by Amanda Maciel. I despise bullying! My sister was bullied throughout her junior and high school years, and to this day she doesn't trust anyone, not even her co-workers who try to talk to her. It really makes me sad that she's 29 and still can't seem to move on from that time in her life. I'm glad she's still here with us, even if she only deals with family.